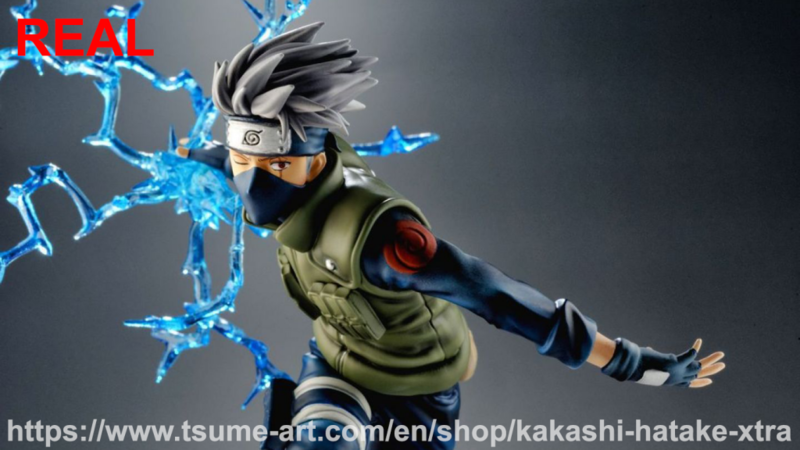 A ninja shrouded in mystery, Hatake Kakashi, definitely packs a punch when it comes to serving the village of Konoha. Inspired by his teacher, the Fourth Hokage, he was able to create his own technique, the Chidori, a jutsu imbued with wind and lightning chakra. With this, Kakashi of the Sharingan was able to carry on all of his missions fending off the enemies of their village. 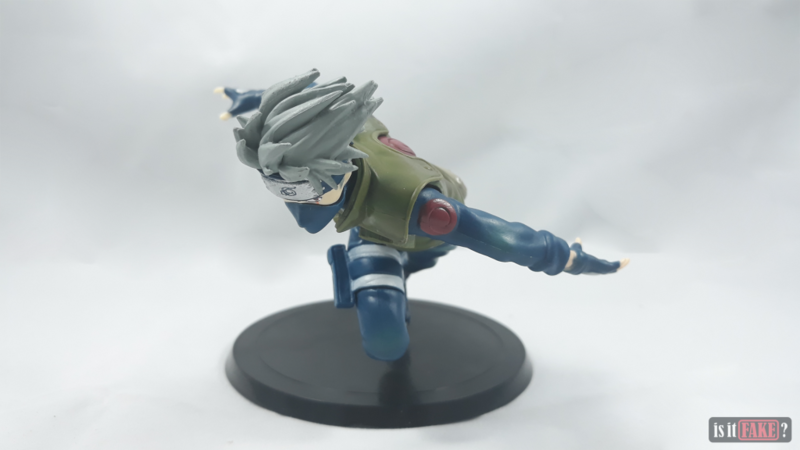 As a result of the character’s success, Hatake Kakashi is popular enough to be honored in toy figurines just as much as the anime series’ main characters. Most figures from the anime series, Naruto Shippuden, are undeniably detailed and almost faithful in accuracy to the anime. One of the finest creators of Naruto Shippuden figures worthy of mentioning is Tsume Art. 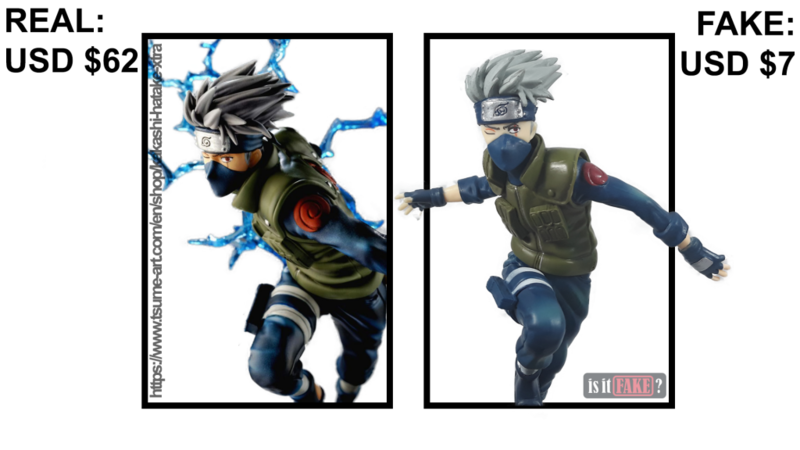 Through their Xtra by Tsume collection, we witness yet another Hatake Kakashi figure that’s bolt-charged with his deadly Chidori. 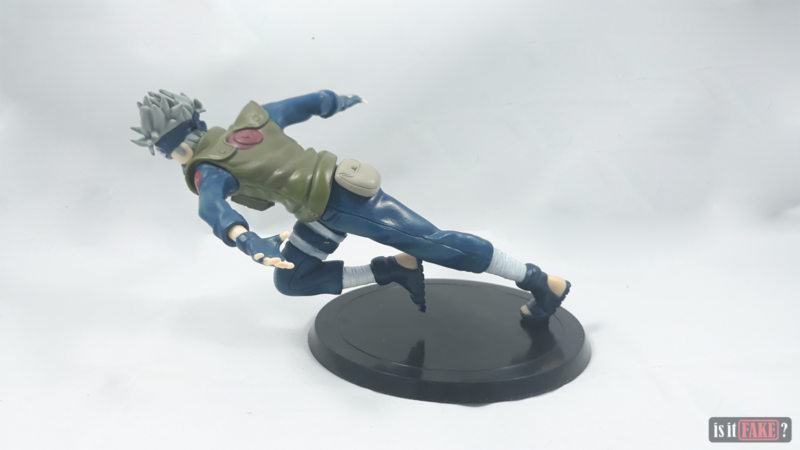 More often than not, these mastercrafts are targets of notorious bootleggers whose hungry enough to empty Naruto fans’ wallets and fool them into buying fake figures. For some, it may be convenient to settle for less but believe it when we say that you’re in for a disappointment. 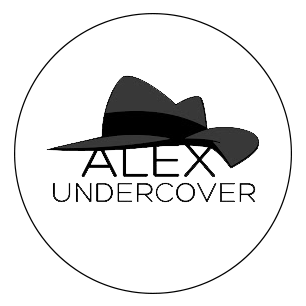 There are many reasons why AliExpress is a prime suspect for harboring vendors that sell tons of fake items. However, it’s arguably not the shopping website’s entire fault since there are many buyers who may be unaware of the unrestrained number of bootlegs in the website. 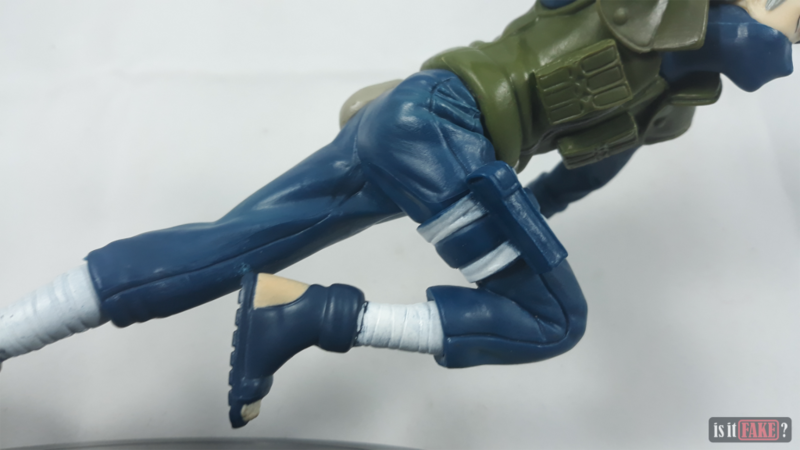 While people, especially figure collectors, avoid fake items, there are those vendors like the Souwan Store that stand in the way producing quality-made figures. China is known for having many fakes since many factories of reputable figure manufactures are located in the country. Sadly, these manufacturers are prone to breach by notorious bootleggers, but that doesn’t mean that these degenerates can produce a masterpiece like what Tsume Art does with their figures. 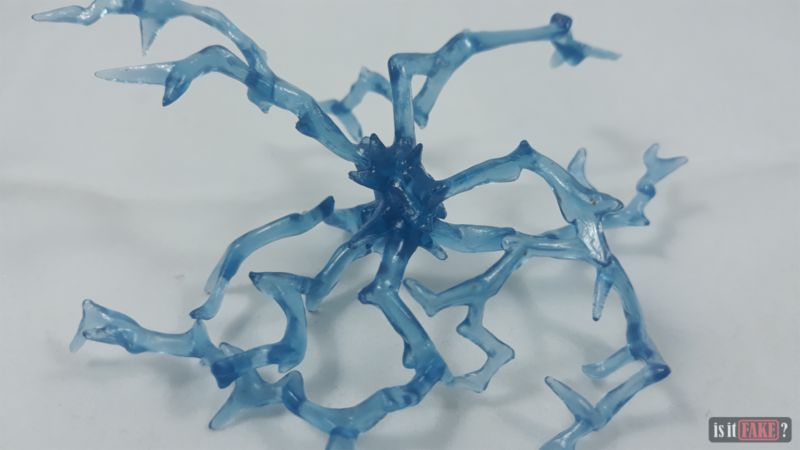 These bootlegs are mostly created and manufactured in China but the true gems of the Xtra by Tsume collection are designed and created by talented sculptors in Luxembourg, and are afterwards, manufactured in China for maximum efficiency. 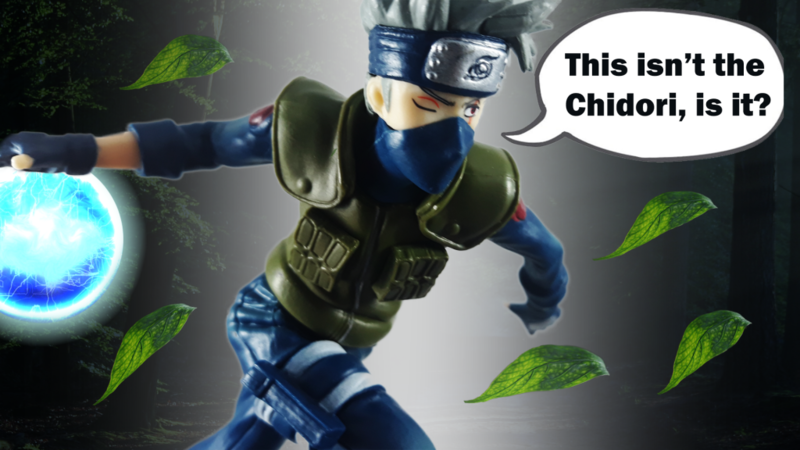 Needless to say, there are awful lots of things to say about the FAKE Xtra Hatake Kakashi figure that we got! 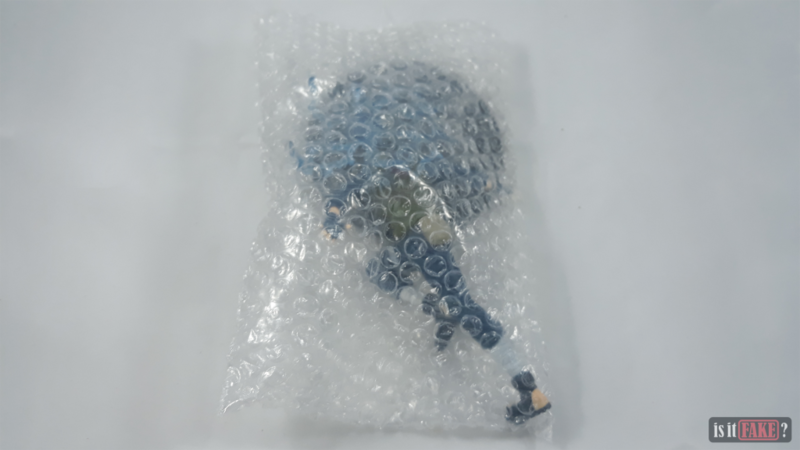 It’s as anticipated, the fake Xtra Kakashi figure arrived only bubble-wrapped with the fake figure’s base inside a plastic. 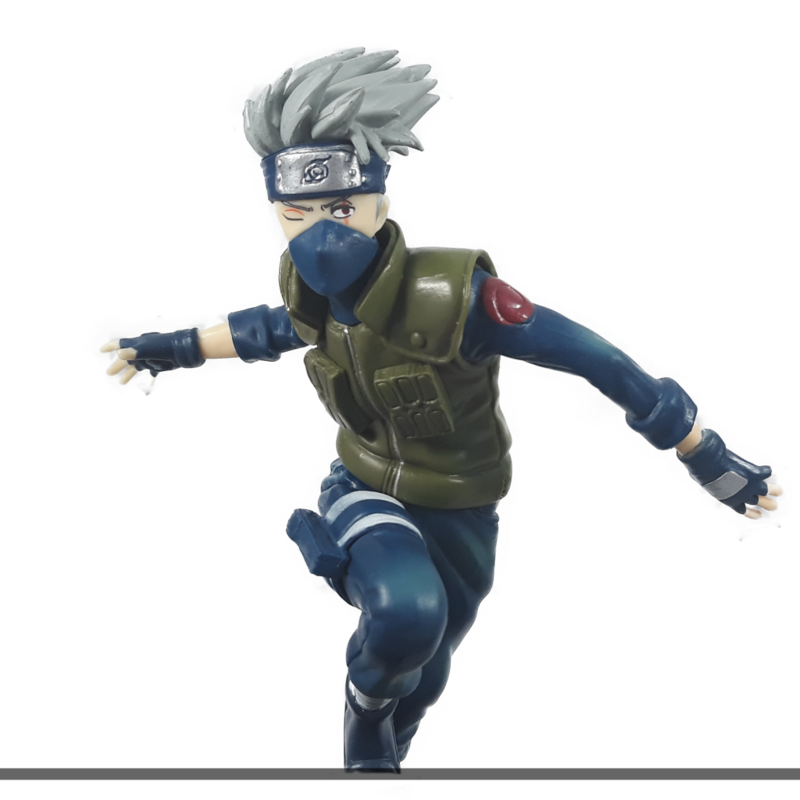 It’s not that surprising for fake figures to come without a box but for fans who are excited to receive their cool Hatake Kakashi figure, it would be a huge disappointment. All of Tsume Art’s figures always come in a branded box. On top of that, the real Naruto Shippuden Xtra by Tsume boxes should have the Naruto Shippuden logo, Xtra by Tsume logo, and an authentication sticker. 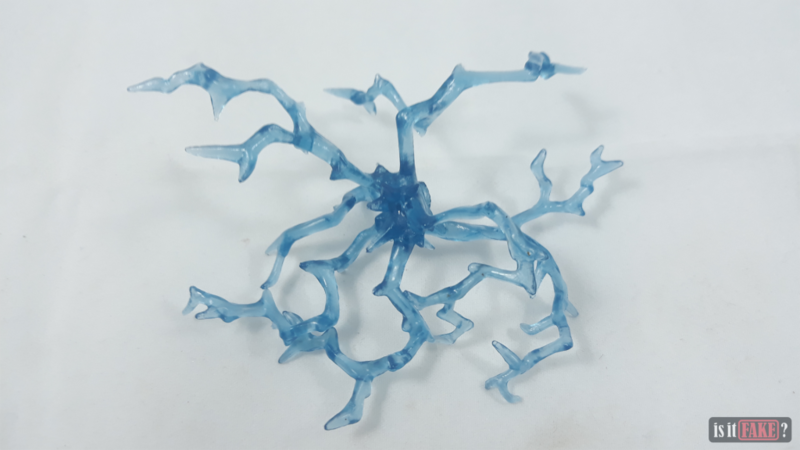 It would be best to look out for these important logos and sticker if you have ordered a figure made by Tsume Art from an unexamined website. 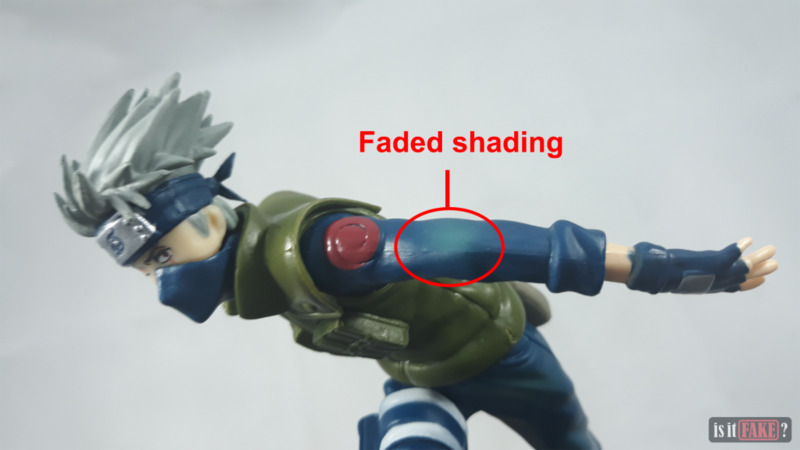 Hence, if an unsealed figure claiming to be made by Tsume Art presents itself to you, then you should suspect it to be a fake unless you know you’ve bought yourself a secondhand figure. 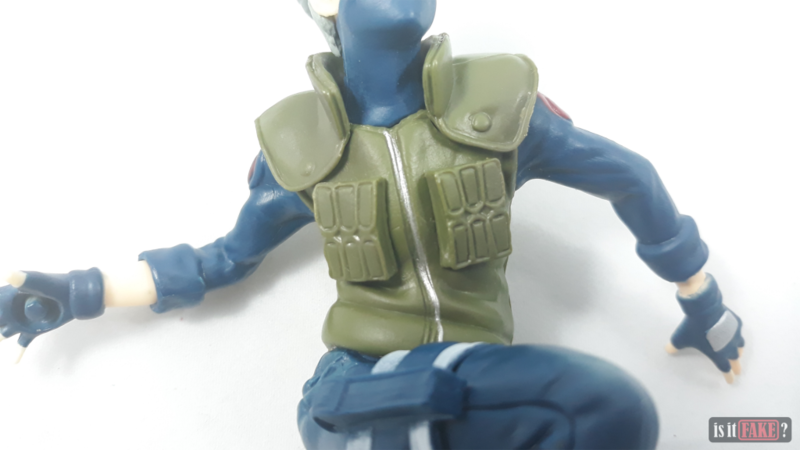 It’s also unavoidable that secondhand figures may be fake so it’s best to take note of the flaws of this fake Xtra Kakashi figure. 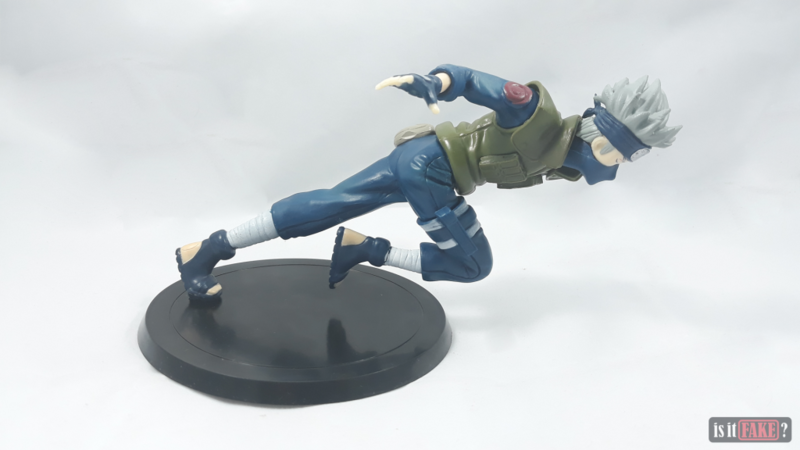 We have here a fake Kakashi figure that surprisingly holds on to its base pretty well despite its slanted pose that puts its weight forward. 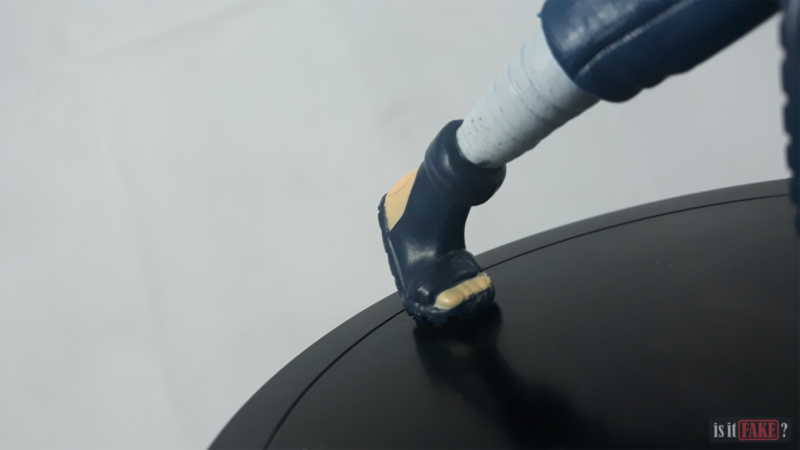 Obviously, it won’t be able to stand without the base but looking at it closely, the fake figure’s pose is a bit awkward because of its angle. Hatake Kakashi’s face is barely visible and it’s as if the character is just going for a headbutt. 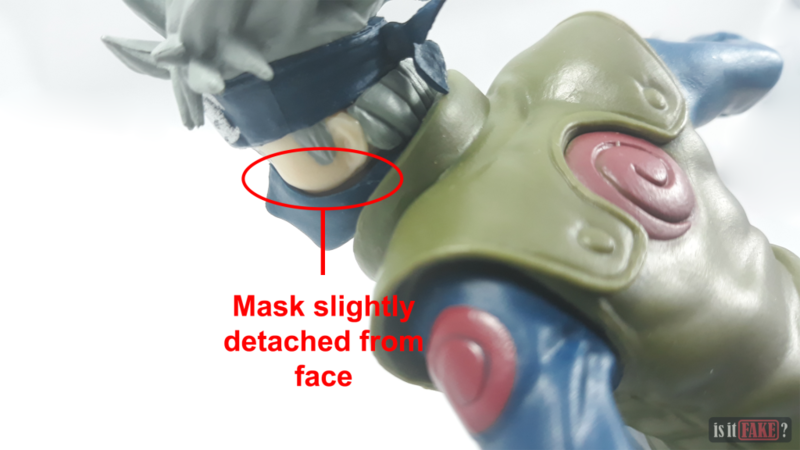 A closer observation on the fake figure’s upper body features, its eyes lack symmetry and on the other side, its mask is a bit detached from the face revealing an undesired crevice. While that’s a bad sight already, looking at Kakashi’s head protector should get on a Naruto fan’s nerves. On the other hand, the paint on the fake figure’s hair clearly tells you the cheap materials it was made from – most probably it’s toxic! Aside from the paint job on its hair, there are odd sightings of faded paint all over its body as seen on its arms and legs. The faded paint looks like shadings for the figure but it’s definitely sloppy. If that’s not enough, looking at its hands should annoy your meticulous eyesight. Moving on to its lower body, the white bands are noticeably faded and a simple turn of the figure would reveal its cracked uniform on its side. There are paint drippings scattered outside the area where the color should be. 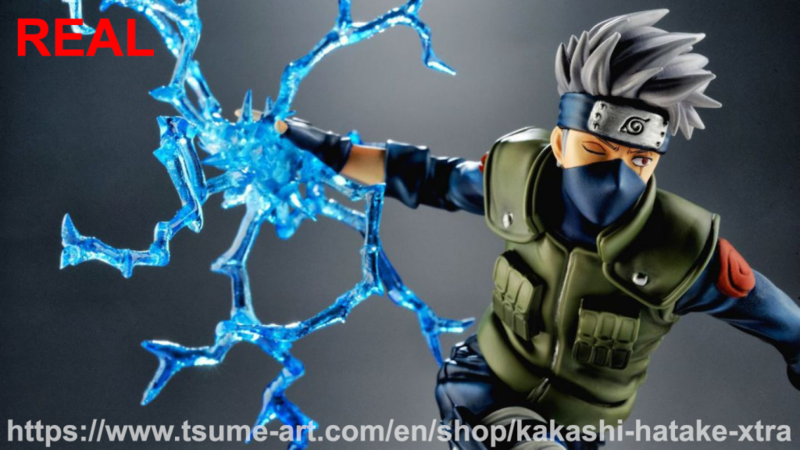 The fake figure has the Chidori effect included but the accessory looks just as bad as the figure. It’s bit dark for the jutsu itself since it should be a charge of lightning. 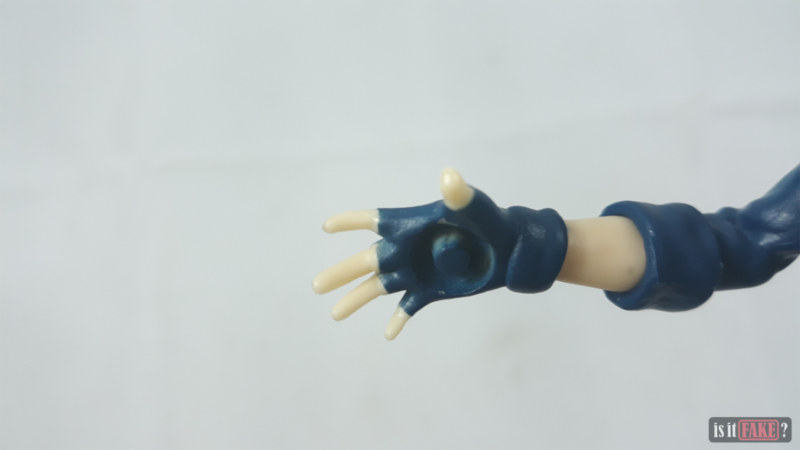 Unfortunately, it doesn’t stick that well on the fake figure’s hand, as you have noticed, and that completely destroys the purpose of the figure. Overall, the figure just lacks depth from all over its body. Its texture is a bit rough with some flagrant powdery particles that’s to be alarmed of. 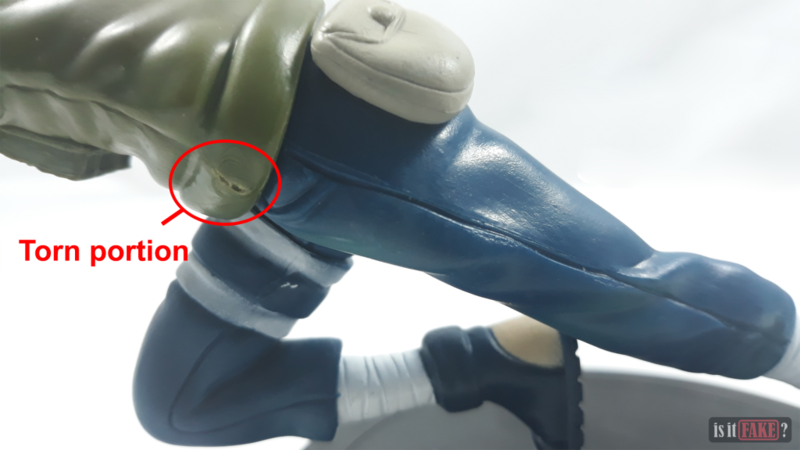 The real Xtra by Tsume Hatake kakashi figure will surely be in a branded box with the logos and sticker intact. 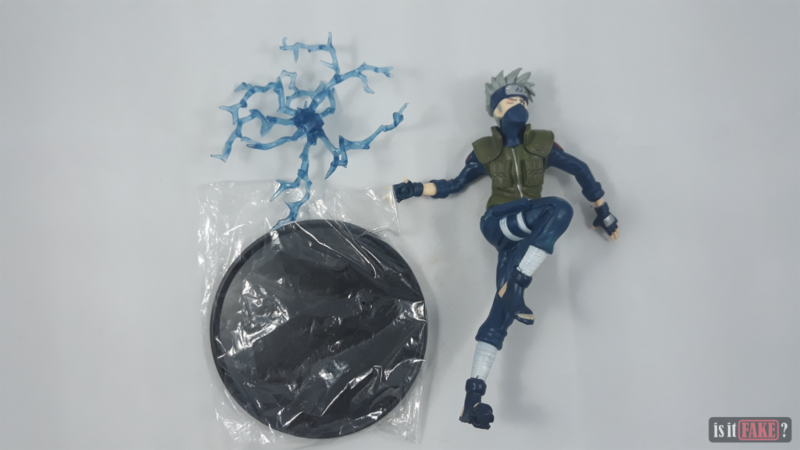 Found inside a proper packaging is the Kakashi figure, a translucent thunderbolt of Chidori, and a black beveled base. Under that base, the character’s name is stamped together with the copyright notice. 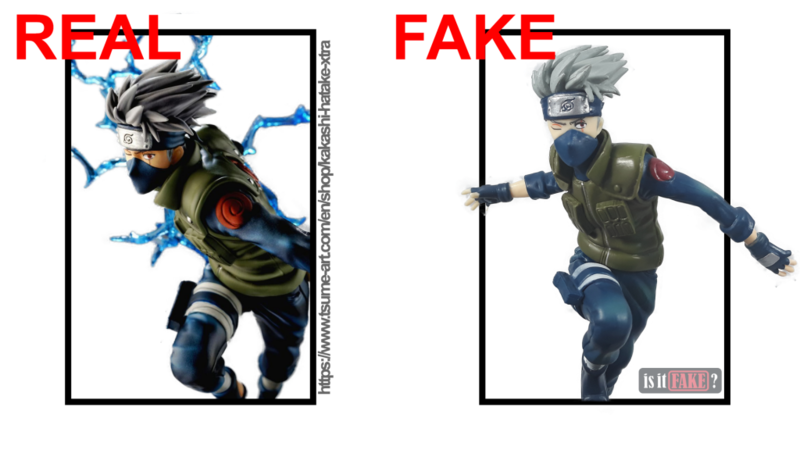 Comparing the fake figure to the real Xtra by Tsume Hatake Kakashi figure, the real one clearly stands out. 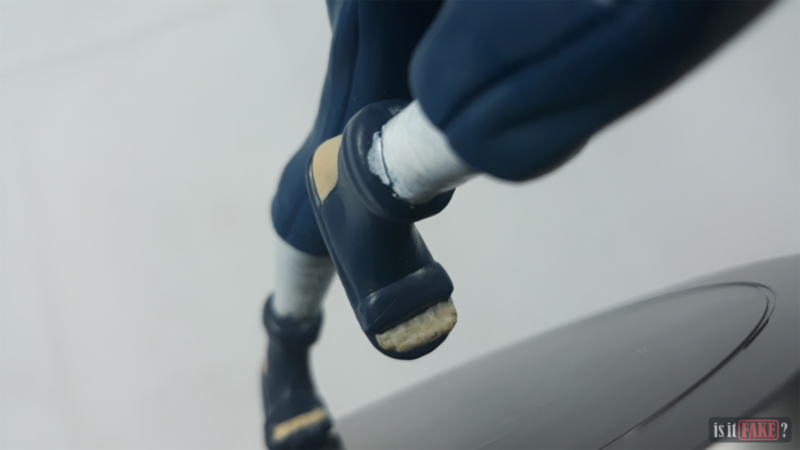 The fine details of the character are displayed by the real figure properly. It has a relaxed pose and doesn’t lean too much as to hide its face. It’s really an impressive design and no wonder bootleggers go after these figures for their selfish gains. 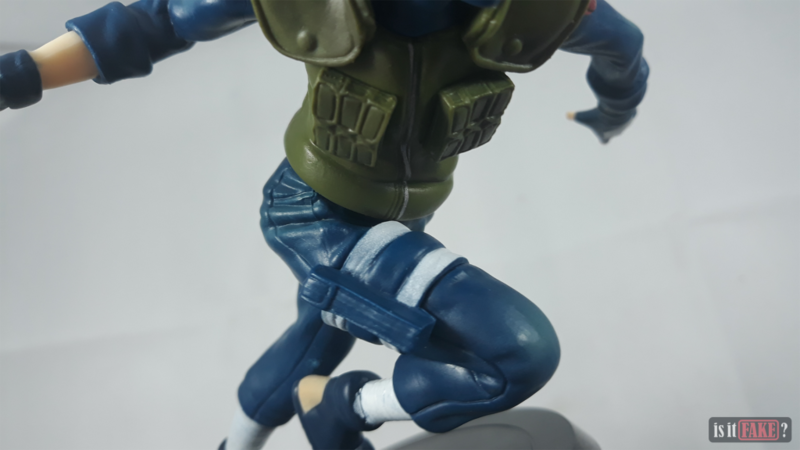 The fake Xtra Kakashi figure may be cheap, but you get what you pay for. 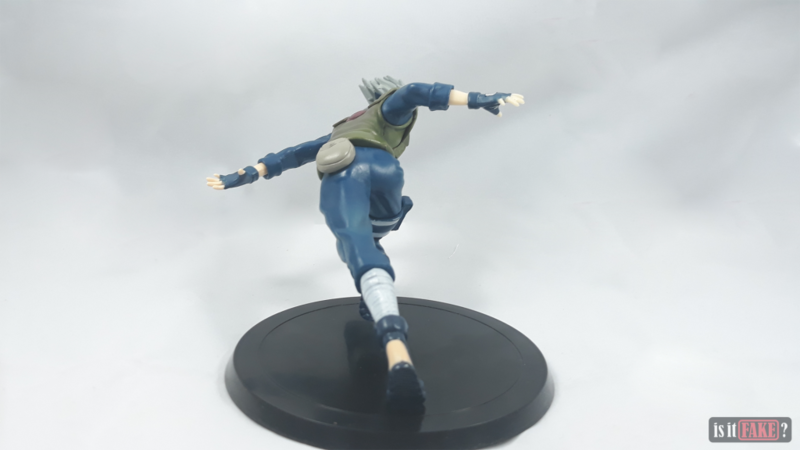 The real Xtra by Tsume Hatake Kakashi figure is undoubtedly an affordable figure for its quality design. 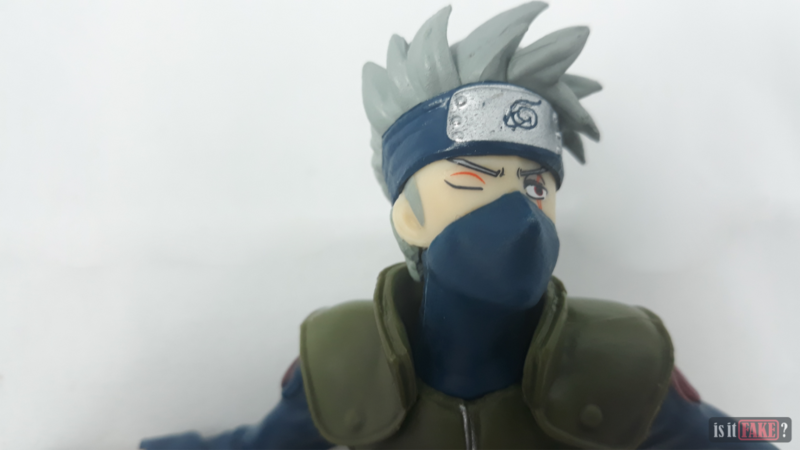 For approximately $62, Hatake Kakashi is absolutely stunning with its accurate, detailed sculpt, not to mention the impact of its Chidori pose is truly admirable. On the other hand, you probably won’t even hand in a buck and a change for a trying-hard imitation that fails to deliver even the simplest detail. Let’s say that it’s cheap for around $7 but in the end, quality would have to suffer. Who knows? You might even end up with health issues for keeping an obviously lead-contaminated figure around you. 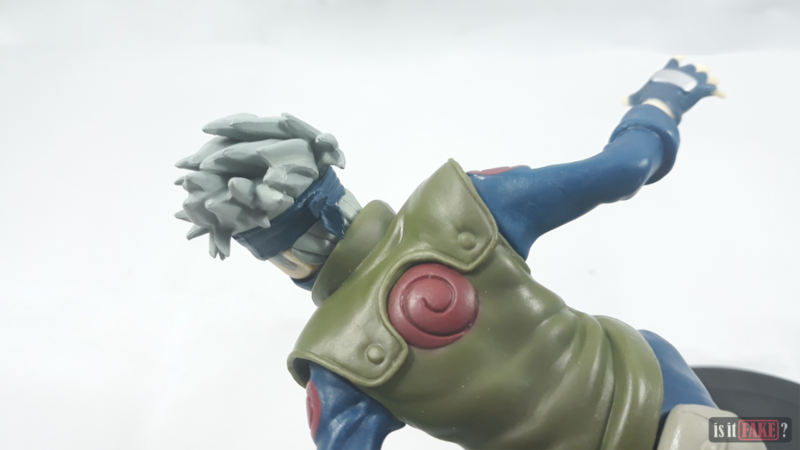 For a figure that’s released back in 2015, it’s expected that a stunning figure like the Xtra by Tsume Hatake Kakashi would already be sold out. 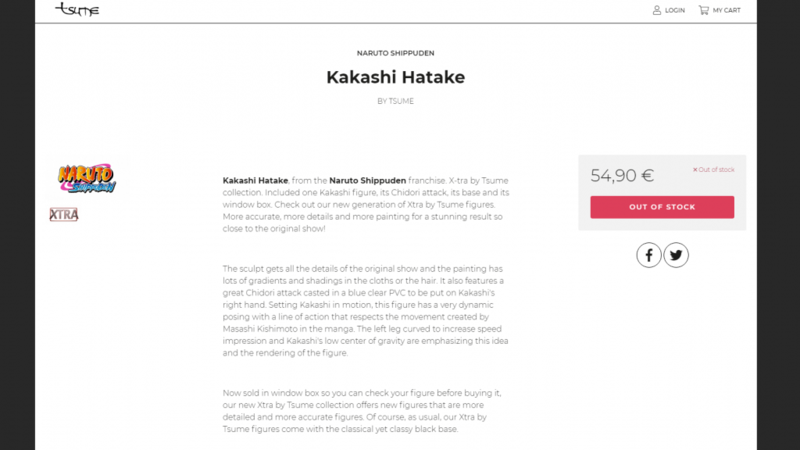 The real figure can easily be found on Tsume Art’s website but as presumed, it’s already sold out from the manufacturer’s website. Still, there’s good news! 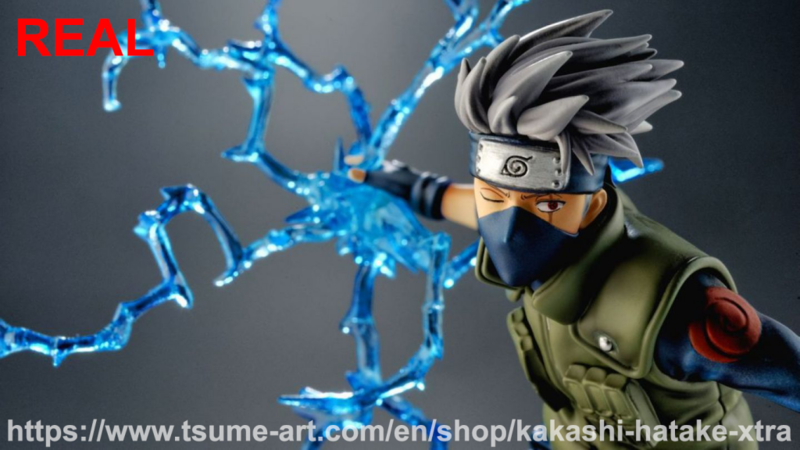 Hatake Kakashi isn’t the only character from Naruto Shippuden that’s in the Xtra by Tsume collection. In fact, there are several iconic characters from the series in the collection, and they’re still available at an affordable price. The whole collection that are on stock are available in Tsume Art’s website. The price of Xtra by Tsume figures range from $50 to $75. 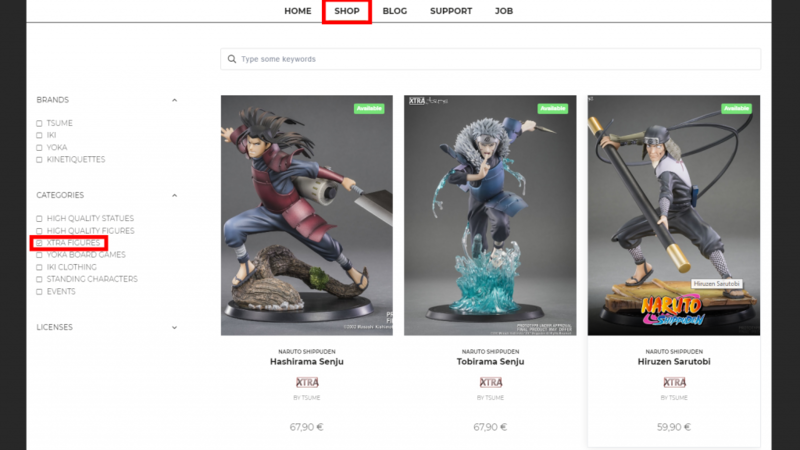 Though you’d only think that the collection only comprises of Naruto Shippuden figure but you’ll be surprised to see that there are figures from other anime series as well. While the overpowered Saitama from the anime series, One Punch Man, is already out of stock, his trustworthy buddy, Genos, is still available. From the looks of it, the One Punch Man figures from the collection are as impressive as the Naruto Shippuden figures. 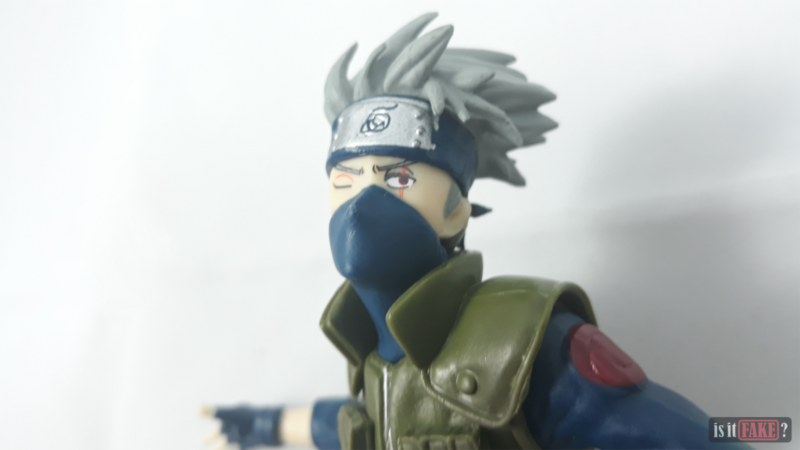 The fake Xtra Kakashi figure just doesn’t cut it. Its awkward pose and sloppy build is what makes out of its deceitful appearance. There are a lot of damages that calls for its unworthiness as a figure. 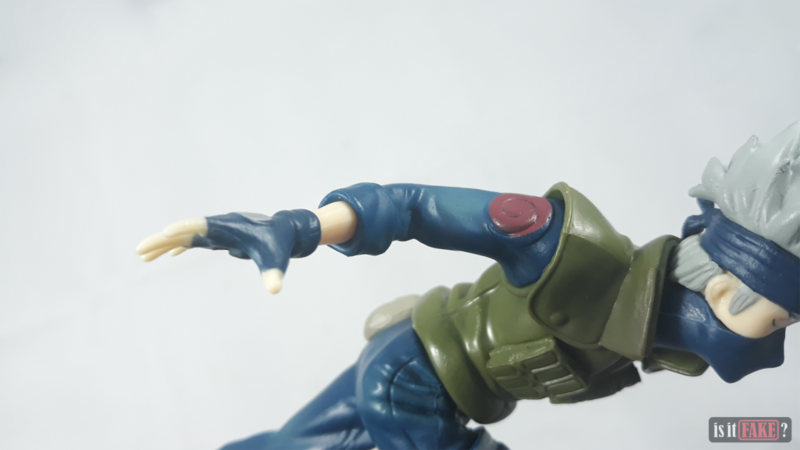 As mentioned, the fake figure’s inability of holding the Chidori accessory properly defeats the whole purpose of the figure. Indeed a bad sight for fans of Hatake Kakashi and sight that really deserves a 90% terrible rating. 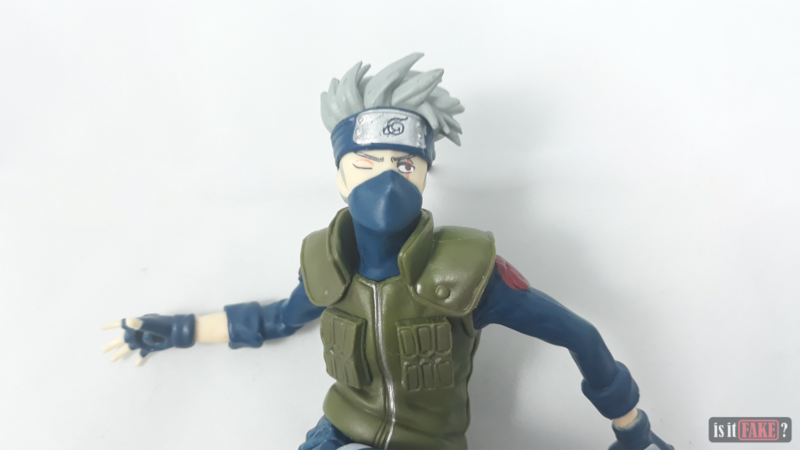 Watch how we unboxed this fake Xtra by Tsume Hatake Kakashi figure and be more wary with bootlegs on our Youtube channel. Don’t forget to leave a like, comment, and subscribe!